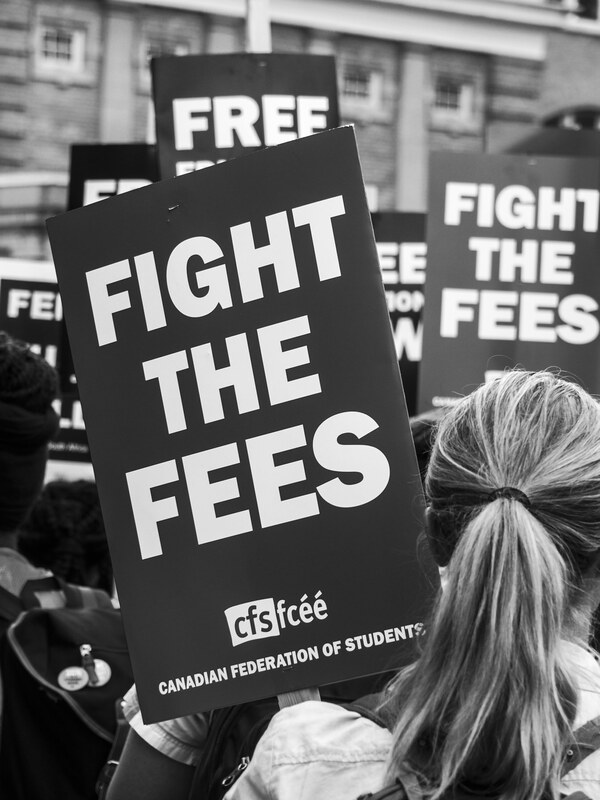 Formed in 1981, the Canadian Federation of Students is a bilingual national union of over one-half million students from more than 80 university and college students’ unions across Canada. There are more than 35 Federation member local students’ unions in Ontario uniting over 350,000 full-time and part-time students. Our Federation provides students with an effective and united voice, provincially and nationally, and creates space and opportunity for students across the country and province to join together in creating change and winning victories on and off campus. Because universities and colleges are funded primarily by the federal government and administered by the provincial government, government policies and priorities of both levels determine the accessibility of post-secondary education in Canada. Tuition fee levels, student financial assistance programmes, Aboriginal student funding and funding for research are all set directly or indirectly by both levels of government. It is vital that students collectively organize at the provincial and national levels to ensure students’ rights and concerns are fully represented. No individual students’ union, no matter how big or active, has the resources or the political clout on their own to effectively influence the post-secondary education policies of the provincial and federal governments. It’s also more cost effective for a large number of students’ unions to pool their resources and to work in partnership than for each to undertake this work alone. Through our Federation, students’ unions collectively pool their resources to provide student-owned and operated services such as the ISIC (International Student Identity Card) and the Ethical Purchasing Network, which are designed to save students money. Through students’ unions, members have a say in setting the policies, direction and priorities of our Federation, including how funds are spent. All major decisions are made at provincial and national general meetings four times annually. Students’ unions are able to send one (1) delegate for free to ensure participation is accessible for every students’ union, regardless of size or location.